Even if this knife is with the changed globe and logo it is very much the real deal because it is on a Genuine Wenger knife with the engraving on the Grip inlay. 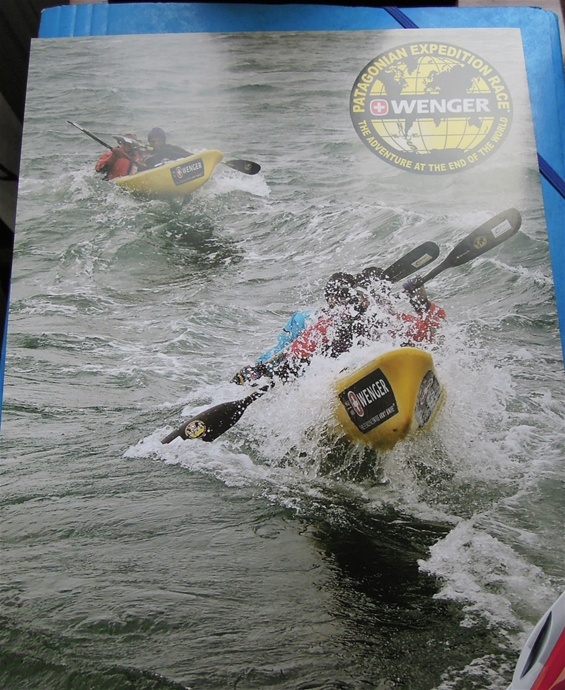 Wenger introduced the RangerGrip knives in 2009 and the sponsor deal with the Race was signed in 2008. I am pretty sure the knives was made in 2009 already but released in 2010. The Grip inlays can be used for engraving for advertising and personalizing so they serve more than one purpose. 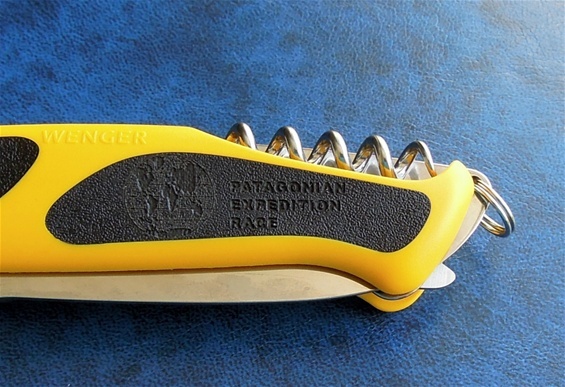 The RangerGrip 179.PER got the combination blade with serrations on 2/3rd of the blade. The remaining 1/3rd got the plain edge on the outer part towards the tip. This knife is in my complete philosophy of a rescue blade. This is a very good knife for such purposes. 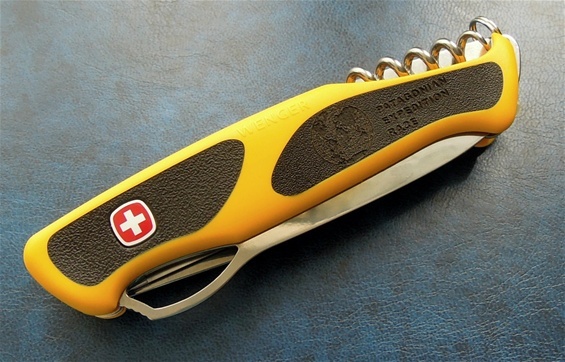 The knife is easy to see because of the yellow color and the handle is ergonomic with slip resistant grip inlays. It is one hand opening and it got serrations for cutting webbing, belts and extreme rope. I checked how sharp the blade is and both edges are perfect out of the box. Because it is a combination edge you have the possibility to cut other materials that require a plain edge. 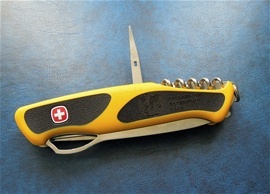 It is a locking blade and that is a must for the best rescue blades. Because you have a wood saw you can put this knife into a survival theme as well. This wood saw is famous and can be used for much more than wood. A wood saw is a survival tool for sure. All the functions on this Ranger knife are in my mind for three big reasons: Rescue, Survival and outdoors needs. It is very interesting for me this knife! The full number on this RangerGrip is AF.1.077.061.891 and I am glad it is finally in my collection. It was introduced 3 knives for this Race and the RangerGrip was one of them. Wenger knives was used during the races. 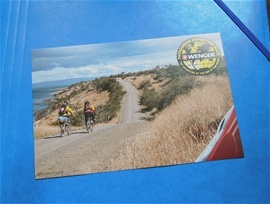 On the picture to the right is a Genuine Wenger image poster designated at the Patagonian Expedition Race. Also below is poster with the same designation by Wenger.